Don’t Panic, it’s Organic! Are you a serious student of organic gardening? CLICK HERE for one of my favorite resources loaded with tips for building your own organic garden. Dave: Well good morning, good afternoon or good evening, depending on where you are in the world when you listen to this. I’m Dave Ledoux, and welcome to another episode of Back to My Garden. We have a very unique guest today, folks. Todd believes that a garden should make you feel like you’ve entered into privileged space. a place not just set apart, but reverberant. He’s a landscape and garden designer as well as a former instructor of landscape design at Columbia University, and he has a brilliant garden blog at www.toddhaimanlandscapedesign.com We have a ton to discuss. Please welcome, from I believe it’s Lower Manhattan in New York City, Mr. Todd Haiman. Todd: Thank you so much for having me. I’m flattered, it’s an honour. I listen to your posts quite often, so thank you again. Dave: I’m excited that you’re here Todd, and I want to get to know you better, and our listeners want to hear your stories. So sit back and relax and take a couple of minutes, and share with us a little bit about your background, and how did you get into gardening? Todd: Well, I grew up in Brooklyn, New York. I didn’t spend any time gardening as a child, although my mother probably had 500 houseplants, my mother can make anything grow. But as an adult I was a photographer, that was my first career, and I loved that career. And at a certain point I decided it was time to take on new challenges and it began from creating a roof garden on a building which I co-owned with some other people. It started with basically not having any irrigation whatsoever, putting a planter up on top of the building, and growing tomatoes and basil and walking up stairs with 5 gallons of water every day. And eventually it came to building this roof garden out even more in detail, putting up plants, realizing I don’t know that much of what I’m doing so I started to take classes, and one thing led to another and I studied at the New York Botanical Gardens for two years. At that point I said to myself, okay this is the start of a new chapter in my life, I want to learn more, where can I get even more knowledge, and I decided to apply to Columbia University that has a landscape design masters. They were very nice, and they accepted me into the program, and that was a just incredible journey. I met with some amazing professors, some mentors who, to this day, I’m still incredibly close with. And I also believe that when you embrace education at a little bit later age, not when you’re 18, 22, when you’re going to college, you’re just a lot more serious about it. And you appreciate it even more the second time around, at least for me. I was very successful in terms of my academic career, I was fortunate, I won multiple awards. Columbia had asked me to stay on and help teach, and I did that, and at the same time that was during the recession here and nobody was hiring. While I did meet with multiple firms, nobody was hiring, so I said well I had my own firm before and let me try it again. I did that and it just took off. So far it’s been a great ride. I’ve been fortunate in some terrific clients, and some great projects. So what I do, essentially, is I do gardens in Manhattan, I do gardens in Brooklyn, essentially a lot of gardens in New York City where it’s close confines, and it’s urban gardening. I also have some roof gardens as well as backyards. I also do vacation homes, I work on a college in upstate New York, and I have some suburban properties also, everywhere from the White Mountains of New Hampshire to closer to New York City, New Jersey, Connecticut, so I’m within the Tri-State area to some degree. Dave: Nice. An excellent point. Listeners, if you’re driving, don’t take notes. I’m going to have all of Todd’s links and resources mentioned on the blog at BacktoMyGarden.com I invite you to follow Todd and connect with him Twitter @THGardendesign and then you must bookmark and share www.ToddHaimanLandscapeDesign.com Todd, maybe we can start in your transition from photography to garden design because as you were describing your start, I got some insight. I always look at garden designers as having that special skill like a painter, or a musician. The idea of writing a song is just mysterious to me, as is garden design. Do you think your early days in photography helped you as a garden designer? Todd: Without a doubt. Essentially what I did, I looked through a camera, and I had to make these perfect images for advertising agencies, for Fortune 500 clients, but that was two-dimensional. When you think about garden design, landscape design, you’re talking about four dimensions. Now, I say four-dimension, what do I mean by that? Well, obviously it’s three-dimensional, but there’s always the 4th dimension in this art. The 4th dimension is time. When you design a landscape, it is not static. It isn’t what it is today. You have to think about what it’s going to be in 5 or 10 years. That was taught to me by one of the professors I had who had such an effect upon my career and the way I think about it. His name is Darrel Morrison. I would say he’s responsible for the native plant movement in the country. He used to be the dean at the University of Georgia, and he ended up teaching me about plants and plant communities and the relationship between plants and nature at Columbia. Looking through a camera, which is two-dimensional to creating a landscape, and let’s face it, you’re creating pictures in a landscape, you’re creating focal points. So without a doubt, it transitions from one space to another. The other thing is that as a photographer, I would have assistants that worked for me, I would have producers that would help produce a shoot. We would have models, talent, we would have location scouts and makeup people. So it was a collaborative process, much like designing a garden is. I will create it for a client, I’ll work with the client. What I’m doing is I’m creating a space, an outdoor space which is an extension of the indoor space, an outdoor room, so to speak. All rooms. I can’t do this all myself, I have people who installations, I have masons, I have contractors, landscapers, I have engineers I work with, surveyors I work with. So there’s multiple I work with and it’s a collaborative effort. And truthfully even though I design it, it’s all these people that I work with the actually make me look good. So, in one case, it’s very much like making a film, I think. Dave: Man, great analogy. Because you’re really wearing so many hats, because that’s the soul of it. You’re an entrepreneur, you’re a job creator, you’re building an economy, but you have to keep that artistic hat on. Todd: Yes. And there is this balance between art and commerce, which is always a challenge to have when you’re creative and you’re trying to have a business. You always have to balance the two of them. Dave: If you would be so kind as to go into your bag of tricks, we have a lot of listeners in urban settings all over the world, patios, a lot of condo dwellers. What are some of your favorite ways of starting with that difficult, small space? It must be incredibly challenging. Todd: Well, it is, but it’s really no more challenging than any other space, because no matter what you’re designing, you always have constraints or parameters you want work within. And what I say to clients is that I’m working with their needs, their aspirations, and their challenges. So how do you address all those things? Well, part of it is realizing that this outdoor room in this case, it’s an urban space, it’s an extension of your indoor space. So what do you need outdoors? Do you want a barbeque? Do you want a place to eat? Do you have children that you need a space for them to run around? Or is it maybe just a show garden, just this beautiful garden? Or do you want to grow vegetables? So let’s talk about your need. Do you want privacy? So certainly in a small, urban space, many people want privacy. And they you’re limited by what the codes are, so for instance in New York City, you’re typically only allowed to have 6-foot wall around your space. So how do you get past that if you want a little big higher? They’re saying a 6-foot wall, but that wall is a build situation. You can have a temporary situation by attaching maybe a lattice to it and letting vines grow up. So that becomes temporary, so you can go a little bit higher than that. And let’s not forget if you plant trees. Well trees grow up high, and most trees will grow higher than six feet, so think about that. And, of course, think about obviously if you’re going to put something in, wherever it might be. If it’s an urban situation or a suburban situation, you always have to think about what is the maturation size of the plant you’re putting in. So, like I said, landscape is four dimensions. You have to think of what it’s going to be in 5 or 10 years. Dave: As a designer, if you had your pick, what’s more rewarding? Getting that blank canvas of a new build, or inheriting a well-developed, older space to re-redesign? Todd: Let me say that what makes me happiest is watching my clients walk into a garden when it’s done, or when it’s installed, and seeing them enjoy it. Because that’s what I’m doing, I’m trying to make somebody happy and trying to enrich somebody’s life. You can say ‘what do you do for a living?” I’m a garden designer, I’m a landscape designer. But really, my goal is to enrich other people’s lives, and that’ really cool to be able to that for somebody. Nowadays most people lead very stressed lives, and you create an oasis for them. I know I’m not answering your question, but that’s sort of the way I approach things. Dave: I really like that. The emphasis is on the client. I imagine you’ve had a few clients come to you almost a their wits end or despondent. Todd: Yes. One of my first clients, a great guy, really loved this guy, and he had a suburban property. He was born and bred a New Yorker, and he has this suburban property. It was approximately 6 acres, and let me put it this way, the slope on this place had a 100 foot differential from the top to the bottom. So it was a complete slope. It just levelled out at one point. Truthfully, I had never worked on anything like that, so I was just working from academic knowledge. I hadn’t physically built something like in a situation like that. But I studied it and I worked with a friend of mine that I went to school with, her name is DeNora Mateos. What we basically did was we met with this guy, and he says, “listen, I tried to figure this out myself, I’ve been trying to figure it out for multiple years, I don’t know what I’m doing”. He admitted to it, even though the guy had great taste, he didn’t understand how to manage the erosion, how to manage the slope. So we came up with ways of doing that, and he’s a very happy guy. Every time I go to visit his property, he’s like “you see this, this is all you”. I say “no it isn’t It’s us together, we collaborated together”. So, in the end, again it’s about making the client happy. Dave: I love that word. It’s a collaboration. I imagine those first meetings you’re just asking a lot of questions. Todd: Yes. I kind of look it as a process. Typically what I do is when a prospective client calls me I go to meet with them and I ask they what their needs are, what their long-term plans are, and we talk. I give them a proposal afterwards, and if they like the proposal then we move forward and I get to know them. Again, it’s a process. First I’ll work with them showing them preliminary ideas, then we move to final plans, and it changes as it goes through, it really does. What I like to do is to show them what it’s going to look like three-dimensionally, so many times I’ll design it in a software called SketchUp, which is actually free. You can download it for free from Google. I use the professional version of it, but that’s a nice way of designing something three-dimensionally so people can actually see what it looks like. Somebody who has their own garden, who’s not going to hire a garden designer, can actually learn how to do this software. It’s very, very easy, it’s very intuitive, and figure out the space relationships by themselves, which is so helpful. Dave: Nice. I’ve been listening to your language, I have a unique perspective because I get to interview garden designers. And the language you use is either visual or kinesthetic. You describe either texture and color and dimensions of a space, or the garden designers talk about the feel or the energy of a space. I hear you using lots of visual terminology, obviously with photography in your background, that makes sense. What do you do with clients that come to you and want to be in charge, or resist you. Is it that the client is almost as much of project as the garden? Todd: I don’t fight with my clients, because I’m designing a space for them. Some clients will say “go ahead, it’s a clean slate, do what you want”. And other clients come up with terrific ideas for them, but in the end it ends up being closer to what they had in the past or what they envisioned, or something they might have seen before. And remember, it’s not art, it’s commerce, and there’s a relationship between the two. So I will give the client an idea and maybe they’ll go forward on it or we’ll work back and forth and it’ll be a mixture of what they want and what I want. I like to say that the garden or space I’m designing is for the client, but I design it like it’s for myself, and in the end there’s a little bit of my soul in there when I walk away. Dave: The reason I ask such a direct question is that a lot of listeners have teenagers or college-age kids and I’m trying to raise the conversation of horticulture as a viable career path, as opposed to sitting in an office under a fluorescent bulb in a cubicle, for somebody who loves the outdoors. What would you say to somebody who’s nervous about pursuing a career in horticulture? Todd: To be honest, it’s a bit of an uphill battle in that I go to England every year to look at gardens, and the relationship between people and horticulture there, it’s just in their blood. And there’s enormous respect for gardeners and people in horticulture there, whereas it’s not really as much here. It’s not a part of who we are. And maybe that’s part of the fact that for centuries when the Brits were, I wouldn’t say conquering, but they were establishing themselves throughout the world, whether it was the American Colonies, whether it was in India, whether it was in Australia, wherever they went they built gardens to sort of feel at home. So it’s part of their culture, and it isn’t so much here. The funny thing is that the word yard, when you say ‘our yard’, really when you look up the definition of a yard, in many cases it’s going to be like a place where you put a car up on blocks. It’s a place where you store things. I try and train my clients and say “your garden”. It might be a yard now, but it’s going to be a garden, it’s going to be an oasis. But getting back to your question about horticulture, there’s something very special about being around nature, and I think people joke about the fact that … and I hope I say this correctly … who needs a therapist when you have a garden. In other words, it’s just so soothing to be in, and it’s a great way to clear one’s head and it’s a way to feel at ease with one’s self. Dave: Absolutely. There’s a sub-Reddit, Reddit is a big social media site. The whole sub-Reddit is just people sharing their testimonials being prescribed by their doctor to take up gardening. Todd: Absolutely. But I would think that having knowledge of horticulture as we move forward with climate change … the truth of the matter is that right now we’re in an upswing in the terms of our economy, so you have more and more people who are willing to spend money on their outdoor space, so I would think from that point of view I say it’s a good field to go into. Dave: You garden in one of the most densely-packed, wealthiest per square foot of land in the world. Todd: Yes, that’s true. I try and relate to a lot of the properties I work on. Like, for instance, the brownstones I work on in Brooklyn. You’re talking about a hundred foot deep by 20 foot wide plot. You have these beautiful brownstones or townhouses that were built like in the 1890’s, 1905, that sort or range, and there’s usually a forty to fifty foot space or land behind the building, which is what is turned into a garden. So with the value of Manhattan real estate or city real estate being what it is, these are prime areas. You put a wall around it and everyone’s cloistered together, and I like to think of these small spaces very much like a medieval walled-garden. In the middle ages the wealthy would sort of bring nature within the walls and put these walls up to keep the riffraff or commoners out. And that’s really what’s going on a lot in the city, is that you end up having these spaces where you have to bring nature in and you have to create a sort of false-sense of nature. Dave: I love it. You know our time is flying by Todd. I just glanced at the clock and noticed the time. Todd: I did want to tell you one thing, that your podcast has actually connected me with somebody. It’s a very funny story. When you first said to me, “would you be interested in speaking?” I looked at your podcast and I started to listen to it some more, and I listened to the one you had with Katherine Aalto, which was a wonderful, wonderful podcast. Now she and I were following one another on Twitter and we really didn’t know who each other were, but that we appreciated each other’s thoughts and comments. And then as I’m listening to her, I realize I had met her last year at the Chelsea Flower Show in London, and I only realized that from listening to the podcast. Then we started to connect a little bit more with one another. So in a way you sort of brought us together. Dave: I love it! It’s a rather intimate community of wonderful people. Gardeners are incredible people! Todd: They’re very giving, they’re very passionate, yeah. Dave: I like it. It’s the time in the show where I drill you with 5 quick questions, it’s like a rapid-fire round where you share your wisdom and experience with novice, rookie gardeners. Todd: Can I try to do it succinctly? (laughs) Go ahead. Dave: But I’ve changed the questions for 2015, so you have to stay nimble. Question number one: What’s the funniest or strangest or most outrageous mistake that you’ve made in a garden that you’re willing to admit to in public? Todd: Um … wrong plant, wrong place. I think everybody has found that. The wonderful thing about gardening and horticulture is that it’s constant learning. You can never stop learning. Dave: I guess in New York City you get all four seasons, so you have to be particularly cautious because of the investment in certain plants. Todd: That’s correct. We get all four seasons, which brings up another thing is the question, can you build a four season garden for somebody or for yourself? You have to have structure, because in the wintertime, in those grey days of winter when you’re looking out, you need to have something to see. So many people actually design a garden beginning with winter … what’s it going to look like in winter? Because we know it’s easy to design a garden that’s going to have lots of flowers in spring and summer, so try to make a garden that looks great in the wintertime. Dave: Wow, that’s wisdom! I like that. You could Google all day and not figure that one out. Question Two: This gives us some insight into you personally. Todd if you were only allowed to grow one plant next year, what plant would you have to grow? Todd: If I was only allowed to grow one plant … that depends upon what I see at the Chelsea Flower Show each year, and I become crazy about. You know, as gardeners we fall in love with plants and we have to have something each year and you can never have enough plants. You just run out of space or time to take care of them. Todd: I’m trying to think, you know I love roses but they’re so high maintenance, but meanwhile I have 10 different roses on my roof. I guess tomatoes, I grow tomatoes on my roof, so I have to have fresh tomatoes. Dave: Living in New York City, do you love London, England? I think it’s one of the most incredible cities. Todd: Yes it is. For a New Yorker it’s easy, there’s so many similarities there. And for a gardener, you can have a conversation with anybody you stop on the street about horticulture. It’s truly amazing. I’m exaggerating, but yes. Dave: I try to explain to my friend, after say soccer or football and rugby, gardening would be their third sport. Todd: Right, right. And the Chelsea Flower Show is actually one of the three cultural high points of the year. There’s the boat races, there’s Wimbledon and there’s Chelsea. Chelsea’s been going on for over a hundred years. Dave: Amazing. Thompson & Morgan, their seed company is older than the country of Canada. We’re running around in birchbark canoes, trading beaver pelts and they’re having flower shows. It’s just incredible. So there’s a tip of the hat to my friends in England that listen to the show. Question Three is about the internet. 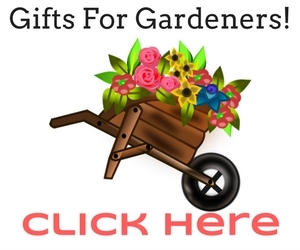 Do you have any favorite gardening websites that you might use as a resource? Todd: Yes, I actually wrote this down because I figured you would ask me this. Two of them … one of them is The Brooklyn Botanical Gardens. BBG.org they have an amazing website for the home gardener. So much about composting, so much about growing in different conditions, so it’s BBG.org I highly recommend it. In fact, they also have books that they publish. Small little books, they’re very inexpensive, and they do a terrific job. Books on tomatoes, books on roses, books on native alternatives, invasive plants … things like that. So that would be one. And RHS.org They’re just about educating the public. That’s another great website. Dave: It feeds perfectly into Question Four. I know you’ve got lots … what’s a favorite gardening book you can recommend? Todd: Well, you had mentioned my blog. One of the things that I did was I did a blog post on my favorite books, or favorite landscape books. You’re always reading lists about the 100 books you must read in your lifetime. What if you would begin like a catalogue in a library of must-read garden books … what books would you include? So I basically put maybe my favorite 10 on my bookshelf. I have lots of books, and I can’t stop buying books on it, so I put down my favorite 10 at that moment. I took that and I posted it on Linkedin and I Tweeted it out and I had so many people who talked about their books, and it was just really wonderful because it was about sharing, and that’s what social media is about. My favorite book, I would say that I would recommend to somebody is Bringing Nature Home. It’s a book by Douglas Tallman, and he’s at the University of Delaware, he’s a Dean there and it is about how you can sustain wildlife with native plants. It’s about the symbiotic relationship between native plants and insects and birds and I just love that book because it’s a major point that we need to understand. It’s that there’s a relationship between native plants, and insects, they have evolved together for millions of years. And then there’s the birds, well 90% of all birds raise their young on insects. It’s about planting certain native trees, like an oak. An oak supports, I think, 500 species of lepidoptera which would be moths and butterflies. Whereas something like a Zelkova or an Ailanthus tree, I think they support 2 different types of butterflies, or none whatsoever. So, it’s about using native plants, and trying to add those to your own garden, your own landscape. Dave: Brilliant. Outstanding. Finally, Question Five: You’ve travelled, you grow roses, you grow tomatoes, you work on other people’s spaces … Is there anything you’ve never grown personally that you would love to experiment with in the garden? Todd: I don’t really grow annuals outside of a tomato or basil. I don’t grow plants that are not in my zone 7. So, what would that be? Sorry, nothing comes up. Dave: Well then let me re-phrase the question. Here we have a brand year in front of us, what are you looking forward to the most in terms of gardening in 2015? Todd: It’s really about building new gardens, building beautiful spaces. I like to experiment with plants on my roof garden, which is a difficult environment. It’s not the perfect environment for every plant. I’d like to be able to plant more native grasses, but again, I’m working in planters, and you only have so much space. Dave: Nice. Listeners, make sure you follow Todd on Twitter @THGardendesign and go to his blog at www.ToddHaimanLandscapeDesign.com Todd, you’ve been an amazing guest. Lots of brilliant information. Todd: Thank you so much. Like so many other people who are plant crazy or loving horticulture, you could talk about plants, you could talk about gardens forever. Dave: We have listeners now in 62 countries, and I want to invite you to have the last word to them today. Can you leave us with a note of encouragement or a pearl of wisdom? Todd: You’re putting me on the spot. (laughs) I would just say to embrace your passion and people who like gardening or think that they like gardening but feel that they don’t have a green thumb … it’s not about having a green thumb or not. I believe it’s just about doing a little research and putting the right plant in the right place. And everyone can be successful if you just do a little research and say “okay, where is this plant most comfortable with?” and think about where that plant actually grows in nature. If it’s an understory shrub, if it grows underneath a canopy of trees, then it needs to be in part shade or shade. If it’s a plant that grows with switchgrass, maybe it grows out in the plains, well then it would be great even on a roof garden, because you have a lot of desiccation, you have bright sun, you have wind, and those are the same elements that you end up having on a beach or on the plains. So think about where a plant grows in nature, and just give it the same situation. Most times you’ll be successful. Dave: Outstanding! You’ve been a tremendous guest. Thanks for being on the show Todd. Todd: Thank you so very much.